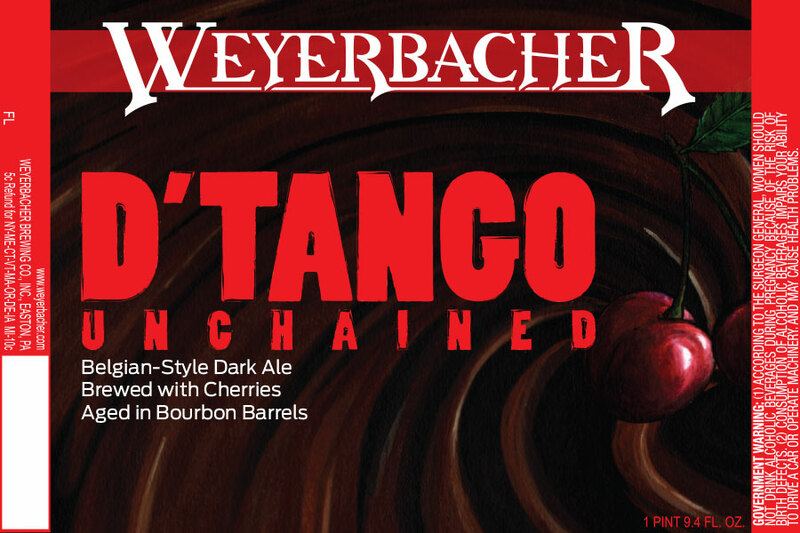 Weyerbacher Brewing Company in Easton recently got label approval for D’Tango Unchained, named after Quentin Tarantino’s stellar film Django Unchained. It’s also a take on Tango, the brewery’s dark Belgian ale brewed with cherries. The base beer clock in at 10.6% ABV, and this was aged in spent bourbon barrels and dosed with funky bugs to create a sour American Wild Ale. There’s no details yet on a release date, bottle count, or price, but we’ll keep you updated with the details when they’re announced.